Woodworking with Doctor Sawbones | Nicole, Deipnosophist. My dad and I were discussing making a very simple toy that wouldn’t require plans. 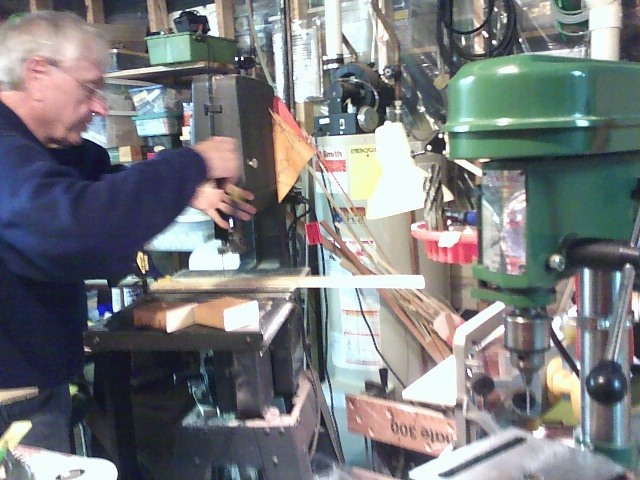 Somehow, the discussion moved from the kitchen table to the wood shop and we were both working away! I haven’t been in the shop in years. I haven’t worked with my dad in the shop in a decade. We used to work in his shop a lot, starting from when I was about six. It was a wondrous place full of dangerous stuff that was off-limits for years. But even when I was too little to work, my dad would suit me up in protective equipment and let me watch. It was so incredibly fun. I will have to find the picture of me in a girly-girl dress and safety glasses and ear protection. I made lots of projects in high school and on through college. I spent many hours playing with different blades on the bandsaw and figuring out how to thread a jigsaw blade through a drilled hole. But lately, I have been too busy and it’s a shame. We worked together as seamlessly as always, even using our nicknames from long ago. He was Dr. Sawbones; I was Nurse Sawdust. It was so cool how we just started working and the tasks divvied themselves as we worked. We both stayed busy and tried new things. Smelling the faint burning wood smell again was so relaxing! 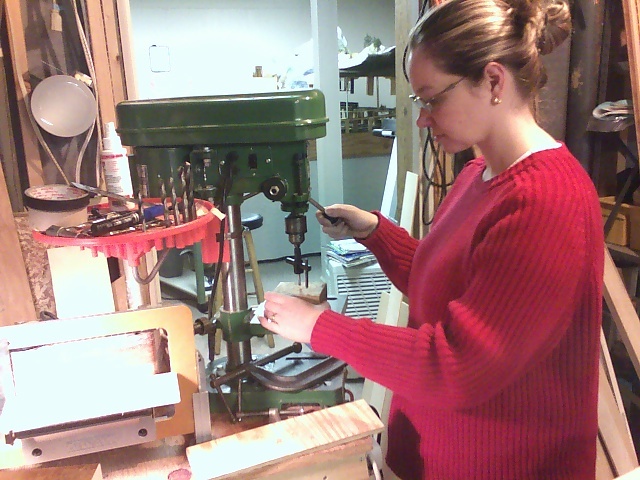 I also learned to use a router table today, and made friends both chamfer and forstner. The forstner drilled through wood like it was butter and felt very smooth. We finished the bandsaw, drill press, and router work; all is sanded and sanding sealer applied. Now, for paint and the toy will be finished! All from scrap wood in my dad’s shop. I saved about $40 and I spent a priceless afternoon with my dad. You can’t beat it with a stick.